Fully automated assembly of a cannula for the delivery of vaccines. Gilles Lefevre is Managing Director of Engel Machinery (Thailand). Medical device design and manufacturing outsourcing firm Raumedic and high performance glass and polymer drug packaging systems supplier Schott will be present at the show. Summaries of the technologies on offer from the two companies are published as follows. In the field of injection systems Raumedic masters the fully automatic assembly of steel needles whether they are glued or directly moulded including siliconisation. Camera controls and a certified quality management system according to DIN ISO 13485 guarantee constantly high quality products. Materials that suit as substitute for glass such as cyclic-olefin-copolymeres (COC) provide a high cost effectiveness and increased safety for users. Cannulas for the delivery of vaccines manufactured by fully automated assembly methods will be on show. A dose sipping syringe will be on show. This is a system assembled from injection moulded parts adapted to each other, including printing on the system. 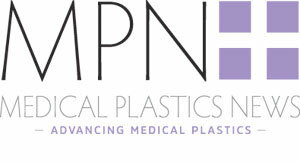 Drug cups manufactured using a sandwich injection moulding procedure will be on show. Schott Pharmaceutical Systems, one of the world’s leading suppliers of high-quality primary pharmaceutical packaging, will be exhibiting at Pharmapack Europe in Paris. From February 13-14, 2013, the main focus of Schott’s booth 383 will be on the innovative pharmaceutical packaging solutions the international technology group offers. In addition to delamination-resistant vials, the portfolio includes pre-fillable syringes, ampoules and cartridges. Furthermore, the employees of “Schott Pharma Services” will be presenting their range of analytical laboratory services for primary pharmaceutical packaging products. “Schott considers Pharmapack Europe, the most important European trade exhibition on pharmaceutical packaging, to be an important meeting point and an excellent platform for presenting its solutions, competences and products,” says Jean-Yves Grandemange, Director, Sales EMEA at SCHOTT Pharmaceutical Packaging. “We are particularly pleased to see this year's event focus more closely on the patient. With the solutions and products we offer, we help the pharmaceutical industry to guarantee the safety and stability of medications. In the end, this also lowers the risks for patients,” he adds. The product highlights Schott will be showing at Pharmapack Europe: With its Type I plus, Schott will be presenting its line of delamination-resistant vials. Schott Type I plus vials are particularly well-suited for storing pharmaceutical products that require a higher level of protection than conventional Type I glass offers, for instance biopharmaceutical proteins that have a tendency to experience denaturation, but also formulations that interact strongly with containers. Schott Type I plus features a coating on the inside that covalently bonds with the glass matrix and drastically reduces interactions between the glass surface and the medication. This, in turn, protects the medications and helps them to remain stable. Thanks to their outstanding barrier properties, these vials are ideally suited for all types of conventional pharmaceutical processing steps like washing, autoclaving, sterilization and depyrogenation. Pre-fillable syringes from Schott are used together with parenteral medications in the pharmaceutical, cosmetics and biotech industries. To meet more specific demands, Schott offers a wide range of syringe solutions that are made of glass and polymers. Schott glass syringes, for instance, are manufactured out of high-quality Schott Fiolax Type I glass tubing on fully automated production lines. These products are available in sizes of between 0.5 and 3 ml with staked needles, luer cones or luer lock adapters. The syringes are washed, siliconised and given either a tip cap or a needle shield. Packaged in nests and tubs, they can be used in aseptic filling immediately. The pre-fillable polymer syringes from Schott, on the other hand, are manufactured out of COC (cyclic olefin copolymer). Schott polymer syringes are resistant to breakage, light and transparent, yet offer superior barrier properties than conventional polymer syringes. This product can also be used in aseptic filling immediately. No ions or heavy metals are released and it contains a lower level of particles than syringes made of glass. Schott polymer syringes are available in sizes of between 1 and 50 ml with an integrated luer lock. This ensures higher durability and means easier administration for the patient. Schott Type I plus and Schott Fiolax are trademarks of Schott.